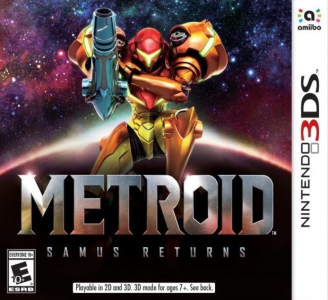 Metroid: Samus Returns is a side-scrolling action-adventure video game developed collaboratively by MercurySteam and Nintendo, with the latter also publishing it for the Nintendo 3DS handheld game console. The game is a reimagining of the 1991 Game Boy game Metroid II: Return of Samus. It follows series protagonist Samus Aran, who is sent by the Galactic Federation to exterminate the parasitic Metroids on their home planet of SR388. Metroid: Samus Returns has some slight problems in Citra. Graphically, the game has no big issues, audio is slow and buggy, but this game requires a modern hardware to get a decent speed. The game however is playable, even though far from being perfect.